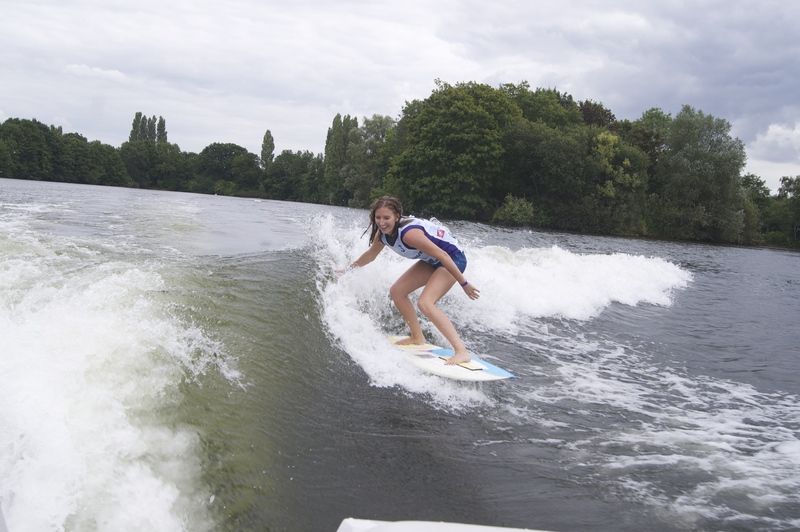 ….. wakesurfing! A couple of Saturdays ago, for the first time ever, a leg of the European Wakesurf Tour was held in the UK down at JB Waterski. Did I compete – of course I did. I hadn’t actually wake surfed for over a year; I sucked, and came 6th (last) but I didn’t care because I just wanted to have fun. And fun I did as Georgie Boyers put on a stella event which meant that as a baby-free mum for the day, I got to enjoy lakeside yoga, a bit of wake surfing followed by a back massage, smooch round the trade stands and some yummy food! Thanks for a great event, can’t wait till next years! (I might actually get to practice next time around as there are no more babies to be had. None. No more. Done. Factory closed. Finito).